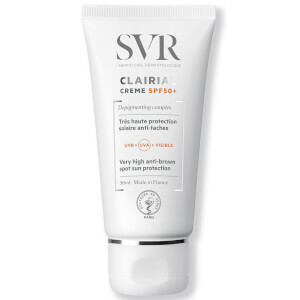 Catering specifically for combination to oily skin that is prone to blemishes, SVR Laboratoires SEBIACLEAR Crème Sun Protection SPF 50 works to moisturise, safeguard and mattify your complexion. 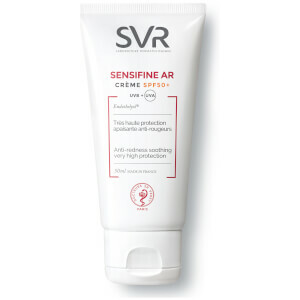 Utilising Gluconolactone and Niacinamide, a powerful duo of anti-blemish active ingredients, the lightweight, quick-absorbing emulsion helps to smoothen and refine skin texture, whilst preventing marks and dark spots associated with exposure to UVA and UVB rays. 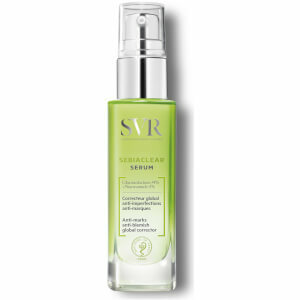 Skin appears clear, healthy and shine-free. Before exposing the skin to sunlight, apply evenly to the face. Re-apply regularly. Aqua (Purified Water), Homosalate, Diethylamino Hydroxybenzoyl Hexyl Benzoate, Ethylhexyl Methoxycinnamate, Silica, Ethylhexyl Stearate, Niacinamide, Glycerin, Dicaprylyl Carbonate, Beheneth-25, Bis-Ethylhexyloxyphenol Methoxyphenyl Triazine, Corn Starch Modified, Cyclopentasiloxane, Dibutyl Adipate, Glyceryl Stearate, Peg-100 Stearate, Ethylhexyl Triazone, Gluconolactone, Salicylic Acid, Saccharide Isomerate, Sarcosine, Tocopherol, Tocopheryl Acetate, 1,2-Hexanediol, Ammonium Acryloyldimethyltaurate/Vp Copolymer, Butylene Glycol, Citric Acid, Pentylene Glycol, Sodium Citrate, Sodium Hydroxide, Xanthan Gum, Parfum (Fragrance).